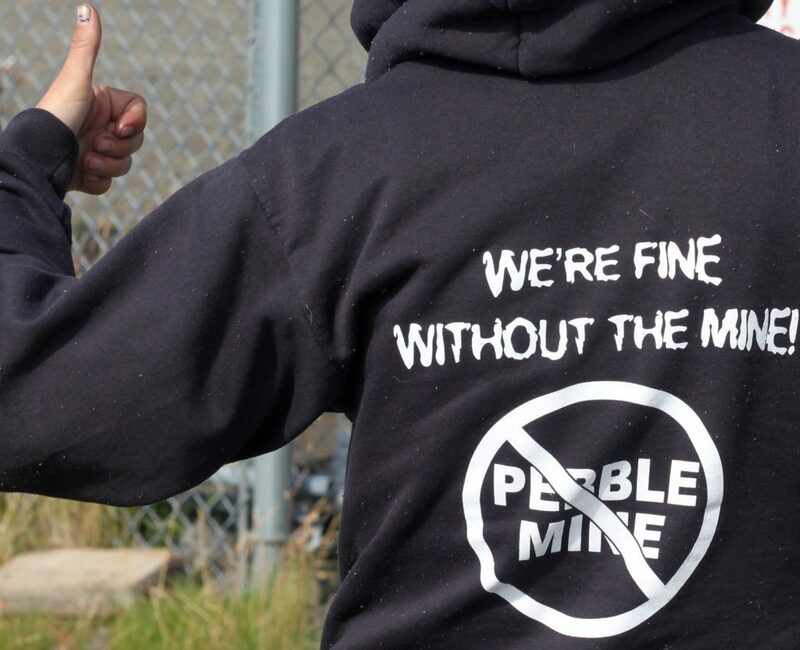 You may have spoken out against the proposed Pebble mine before, and we are grateful you did. All of us need to keep fighting to protect our fisheries, communities, and ways of life. Trustees takes on this fight every day, because our supporters care as much as we do and help us do the work we do. The Koktuli River winds its way down into Bristol Bay. Photo by Carl Johnson. 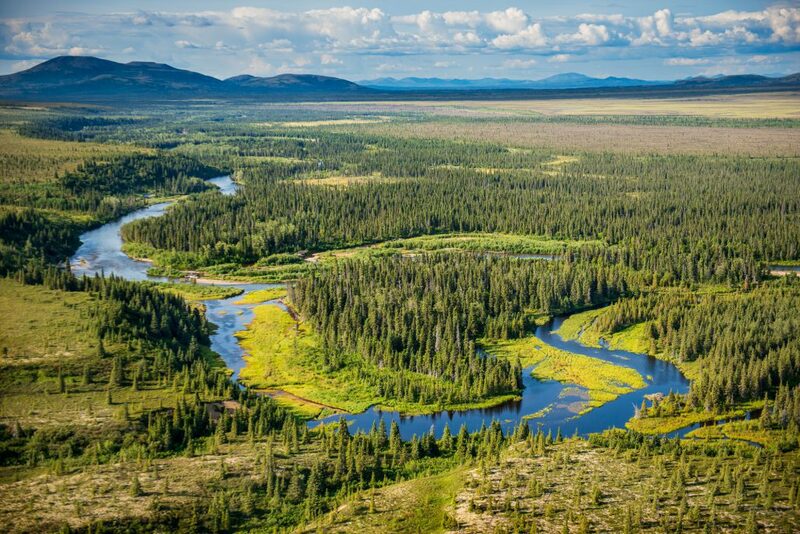 Unfortunately, the Army Corps of Engineers is more interested in meeting an accelerated schedule for the proposed Pebble mine than at looking out for the public’s interests. Our job is to remind them that we will stand up to protect Alaska fisheries, jobs, cultures, and communities. Because of you, we can protect Alaska’s future and respond to federal and state administrations that intend to exploit Alaska, no matter the cost. Trustees for Alaska has been a legal force in Alaska since 1974. We represent Alaskans, Alaska communities, and a wide range of groups fighting for human rights and the protection of land, water, and the voices of those most affected by industrial exploitation. Trustees provides free legal services to clients who could otherwise not afford lawyers to build and pursue cases for years and even decades. The Trump Administration and Alaska delegation have rushed agency decisions and undermined laws to accelerate fossil fuel extraction, deregulate industry, and rubberstamp industrial permits. These agencies have overseen processes that omit or dismiss science, ignore public concerns, and offer lackluster analysis to extraction projects that could devastate Alaska—increasing the already harrowing impacts of fires, rising seas, floods, droughts and extreme storms across the state and the globe. Alaska’s Republican Governor has also pushed policies that mirror those coming out of Washington, DC. He aggressively supports industrial exploitation, declaring, “Alaska is open for business,” right after he took office. One way to speak out to protect Bristol Bay. Photo by Donald Blank. There isn’t a mine this guy doesn’t like, or a working person he wouldn’t throw under the bus. His budget alone demonstrates his willingness to put Alaska lives in danger and Alaska families in financial duress, even as his policies seek to pad the pockets of Outside corporations. Our legal team has worked to protect the rights of citizens to speak out against the proposed Pebble mine for over a decade. Now with the Army Corps’ draft environmental impact statement, we see a document that omits or ignores science and traditional knowledge, and narrows its analysis to avoid the obvious flaws in Pebble’s permit application. With your support, we can continue applying our legal expertise to protecting Bristol Bay by hiring scientists and experts to review agency and industry documents and plans, and support clients in assessing and responding to agency and legal actions in the months and years to come. The salmon fisheries in Bristol Bay employ thousands of people, support thousands of families, and feed millions of people across the world. The EPA released a study in 2014 concluding that a mine would be catastrophic. The study determined that the cultural, social and economic importance of salmon in the region is so vital that it warranted permanent protection. Last year alone, a record 62.3 million sockeye salmon returned to Bristol Bay. It is simply irresponsible to risk a locally and globally important food source to pander to the profit interests of a foreign mining company. The Trustees team has the expertise, commitment, and grit to fight in the courtroom, the conference room, legislative offices, and on the ground for the health of Alaska fish, water, land, and people. I know you share our commitment to Alaska. Please join Trustees in our fight for salmon and the people who depend on them by making a gift today.